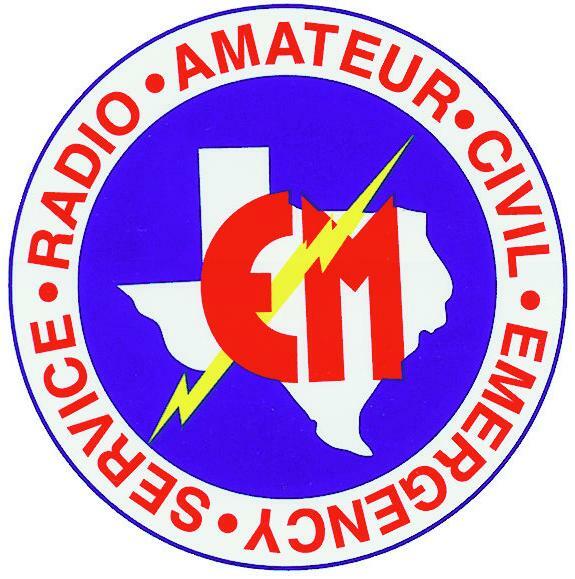 The primary mission of Texas State RACES is to provide amateur radio communications support for the Disaster District Committee. The Disaster District we support is DDC 4 Hurst. Hurst District consists of Denton, Erath, Hood, Johnson, Palo Pinto, Parker, Somervell, Tarrant, and Wise Counties. When these counties need State support they will contact the DDC for help. Texas State RACES District 4 Hurst provides the amateur radio communications support between the counties and the DDC and between the DDC and the State Operations Center in Austin, when amateur radio support is needed. Texas State RACES is organized along the same lines as communications would flow from your local (city/county) EOC to the State. The County Liaison Officer and CLO Alternates are the front line of Texas State RACES. Just as the needs flow up from the local level to the State during an incident, the CLO is the liaison for amateur radio communication from the local level to the State DDC. When the local government activates amateur radio communications help and needs that communication help to make requests to the State DDC, that is when the CLO is called. The CLO provides the interface between the local government and State RACES radio nets. The District RACES Radio Officer and DRO Alternate is the liaison to the DDC. When the CLO activates a State RACES net, the DRO becomes involved to support the communications at the DDC. Similarly, if the DDC needs assistance from Austin and amateur radio communications are required to make that contact, the DRO will establish amateur radio contact between the DDC and the State Operations Center. Depending upon the situation the net may be the same net opened by the CLO, or another net may be brought up between DDC and SOC. You must have an amateur radio license and be willing to serve your County and the State. You must reside in the county in which you will serve. The Texas State RACES Standard Operating Procedure sets forth the minimum requirements for continued membership: Reliability must be the mainstay of the State RACES program. Reliability can only be shown by an organization or individual’s activities. Therefore, in order for an individual to maintain certification in the program, minimum participation is required. An acceptable standard of participation is to be actively involved in at least two state RACES activities each quarter of a fiscal year. Participation may be in the form of, but not limited to, training activities, exercises or meetings. Experience with emergency communications support is important but not required. ICS training will be required. Contact the CLO for your county. Please see the CONTACTS page of this website for a link to send an email to your County Liaison Officer for more information. We welcome your participation! You are helping fellow citizens in your area and the State in the event of a disaster.